Research is necessary to assist you in making the right decisions for your business. This will help you to clearly define what your objectives are and this can be your guide to ensure that you get your targeted return on investment. Knowing your market well by conducting market research will help you determine the right location for your business. Remember that your business location will not just impact upon your staff but also your suppliers and customers. Accessibility, proximity and visibility are important factors that you have to keep in mind when you are choosing the location for your business property. Properties that are within accessible proximity to staff and customers will impact your business’ ability to retain customer loyalty and recruit employees. 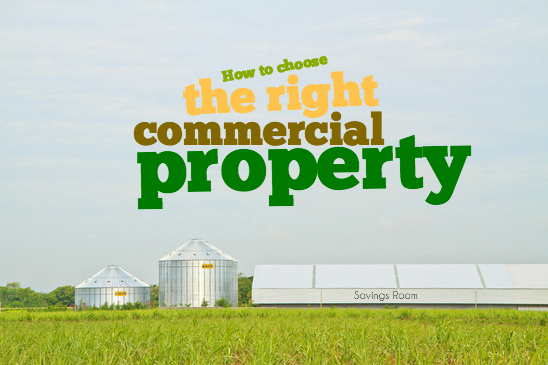 After you have determined the right location for your business, you have to find the physical property itself. You can get a trustworthy real estate agent to help you secure the physical property for you. You can ask your friends for referrals or check out the local newspaper ads. You can also visit commercial property listing portals such as Commercial Property Guide, where it is easier to discover and view the properties you like and connect with the agent via email or phone. Create a checklist of all the requirements you have agreed with your real estate agent before visiting the physical property. Make sure to check the security of the area, access time, lighting around the area, fixtures that need repair and other utilities. These concerns not only affect you but also your employees and customers.